�tlibergbahn is a fairly strange railroad. It is one of the small private railways of Switzerland, running a U-shaped track from Z�rich city up to the top of the �tliberg mountain. It�s one of the steepest normal adhesion railroads in the world with some 70 o/oo steep rises. SZU Uetlibergbahn runs a tram-like service as part of the Z�rich city S-Bahn network to the top of �tliberg mountain, almost 900 m above the city centre. 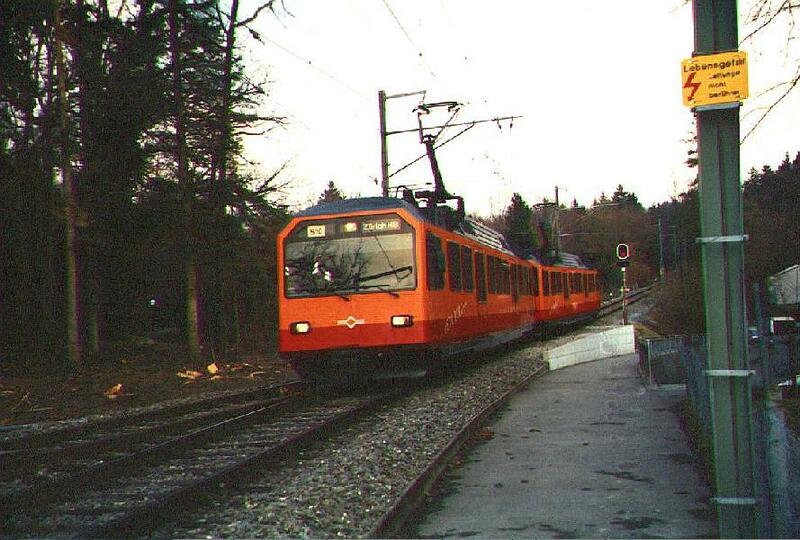 Track width is that of a normal railroad, but the line is electrified in a strange way, with 1200V DC: it was originally planned as a part of the Z�rich tram network. The line was opened for service in 1923. 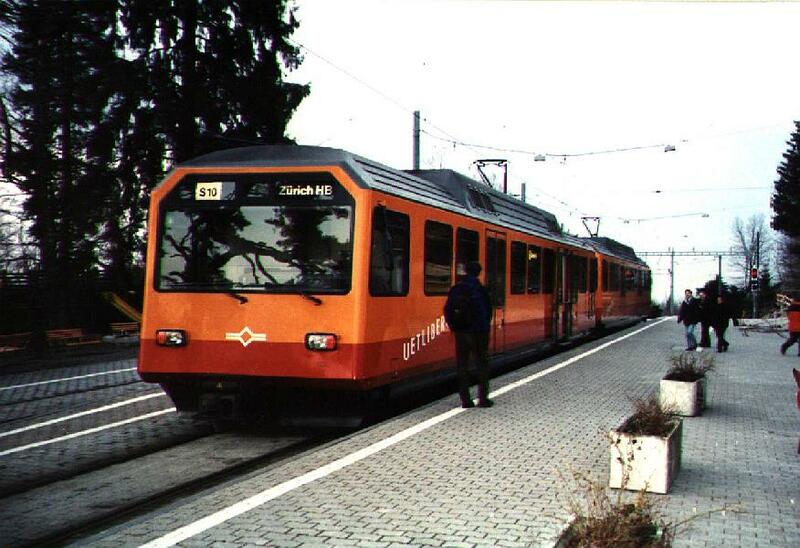 The Be 4/4 (today Be 556) of SZU Uetlibergbahn.